The latest rounds of the Scottish Road Car Series took place at Leuchars and Kames. 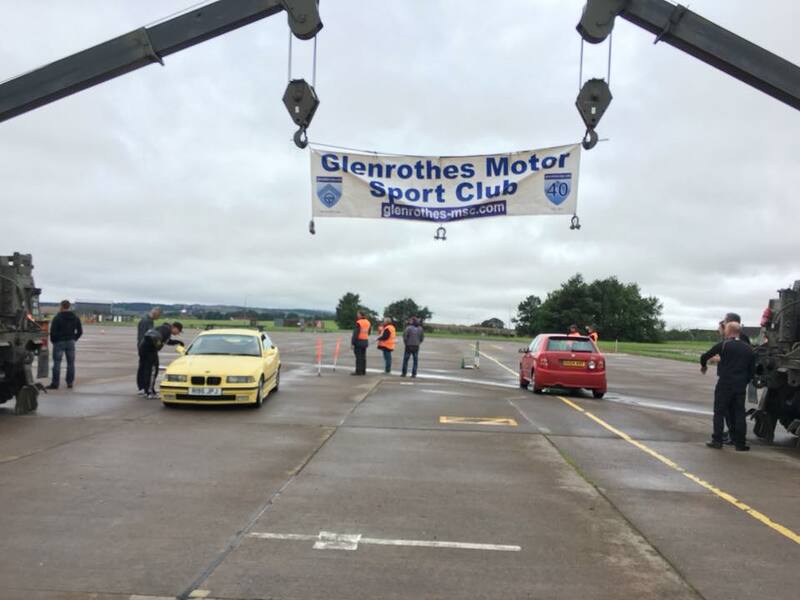 Round 6, at Leuchars Army Base, was run by Glenrothes Motor Sport Club and attracted a bumper 25 car entry. The entry included a significant number of drift competitors who were encouraged along to try MSA motorsport. This event was run in parallel with the Army’s ‘Race the runway event’ to raise money for the army Benevolent Fund; a fantastic total of £7,500 was raised on the day. In addition to raising money for a good cause, the Road Car Series event itself proved to be a real success. Steven McConnell put in another impressive performance to take the win and extend his lead in the series whilst Mr consistent, Ryan Gardiner, took 2nd place in his MX5. John McLeod put in another great performance to take 3rd whilst newcomer – William Ritchie – took the driver of the day award for his impressive drifting in his BMW estate car! A ‘Street Car’ class was also introduced for this round to enable those without a road legal car to enter (in the Auto Test class). Four drivers took part in the street car class where James Stephen took the win from 15-year-old Ben Dryburgh who also fended his Dad, Alan Dryburgh, off in third! 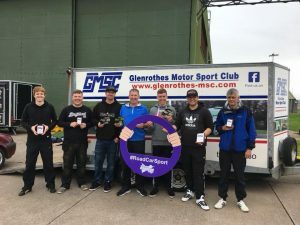 The series visited Kames on the 2nd of September for round 7. This was the second event of the series to make use of a track for the tests, after the popular Boyndie round in May. 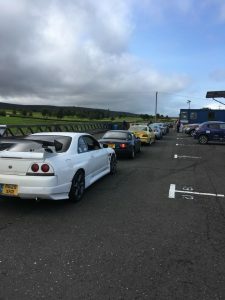 Whilst the entry was not as strong as the Leuchars event (with 12 entries but only 7 taking part on the day) the East Ayrshire Car Club run venue was a real hit with competitors, who enjoyed the variety of the tests and the opportunity to drive sections of the challenging Kames circuit. Ryan Gardiner put in a fast and consistent performance to take his maiden win in the series ahead of – on form – John McLeod in his Audi TT and Douglas McDougal, who scored his first podium of the year in his Porsche Caymen. Stephen George took the driver of the day award for his impressive car control in his Nissan Skyline. This result has seen the battle for the championship win heat up; Ryan Gardiner’s round 7 win has promoted him to the top of the series with 68 points. Steven McConnell and John Macleod are just 8 points adrift in joint second place, with Douglas McDougal within striking distance on 54 points in 3rd. Consistent points finisher Richard Fairlie is sitting in 4th in his GT86 and round 1 winner, Bob Mather, should also not be discounted from the fight – he’s missed a few rounds recently but has his entry in for round 8 where we’re sure he will be in fighting form! This is before dropped scores are taken into account – with only competitor’s top 5 results counting towards their final score – so with three rounds to go, the championship battle is well and truly open. Watch this space!